Let’s face it, nobody is perfect. 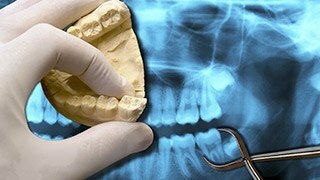 It’s completely normal for a person to have a cracked, chipped, decayed, or even missing tooth at some point in their life. It’s really no big deal as long as they promptly get treatment. Otherwise, a small dental issue can easily turn into a much bigger one. With our restorative services, we’ll not only protect your smile from future dental problems, but we’ll repair your teeth in such a way that they’ll look like nothing ever happened to them. When it comes to fixing broken/decayed teeth and even replacing missing teeth, dental crowns and bridges are two of the most reliable treatments used in dentistry today. If your teeth need a little help, a crown or bridge can be used to bring your smile back to its original glory. All it takes is just two appointments to get your smile and confidence back. 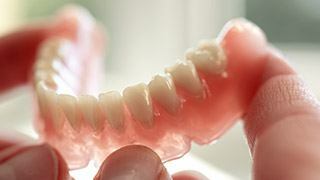 If you have multiple missing teeth, dentures are one of the quickest, most reliable, and most affordable ways to replace them. Partial dentures can fill in the gaps like the missing piece of a puzzle while full dentures can completely restore an entire row of teeth. 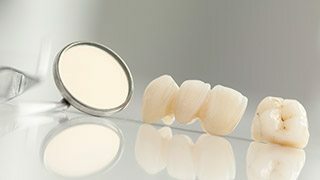 Their strong and natural-looking materials will ensure that you can eat, speak, and smile with ease once again. For even better results, we can also provide you with dentures held in place using dental implants. A root canal is one of the most misunderstood procedures in all of dentistry. Rather than just being pure torture, our experience has proven that, when properly performed, it is rarely, if ever, painful. 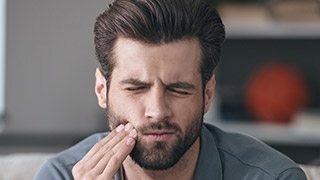 The discomfort people usually associate with root canals is often due to the infection from a longstanding cavity or dental trauma and not the procedure itself! In fact, root canals are one of the best tools we have to relieve severe pain and save teeth that would otherwise need to be extracted. Small issues like broken, decayed, or missing teeth can create big ones for your smile if left alone, so come see us and we can restore your smile’s appearance and strength all at the same time. To learn more about our restorative services or schedule an appointment, please contact us today.